After a sensational ride for qualifications – Iannone at the first position, third one for Dovizioso and fourth for Crutchlow, we had to face a difficult and hard competition, but luckily Andrea Iannone was able to keep the rhythm and gain a wonderful second place. 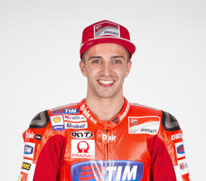 Andrea Iannone scored his best-ever finish in MotoGP, taking the runner-up slot in the TIM Italian GP held at Mugello. The Ducati Team rider, who started from pole position, rode a great race on the undulating Tuscany circuit to take the 20 points for second. After crossing the line at the end of the opening lap in third place, Iannone was then passed by Marquez one lap later and he remained fourth until lap 9. On the tenth lap Andrea then passed both Dovizioso and Marquez to move into second, and he held onto that place until the chequered flag despite coming under attack from Marquez, who crashed out, and a rapidly recovering Rossi. Thanks to this result, Iannone has now moved into fourth place overall in the standings with 81 points. Andrea Dovizioso, who also started from the front row after setting third quickest time in qualifying, instead had an unfortunate race. After a good start, the Italian crossed lap 1 in second and then began a terrific scrap with Marquez. Unfortunately a problem with the rear sprocket of his GP15 first caused him to slow and then enter the pits on lap 14. 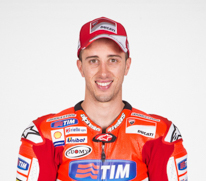 Despite retiring from his home race, Dovizioso holds onto third place in the championship with 83 points. 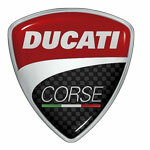 Michele Pirro had a good run after starting from row 2 thanks to a sixth fastest time in yesterday’s qualifying session. The Ducati Test Team test-rider, making his first wild-card appearance of the year on a GP15, finished the TIM Italian GP in eighth place. “I am satisfied with the way my Italian GP went, but I’m sorry for Dovizioso’s retirement and congratulations to Iannone for getting a podium finish. As for me, it was a really emotional weekend: I was fourth yesterday morning, I was on the second row of the grid with sixth quickest time, and in the end I finished in eighth place. My aim was to finish less than 30 seconds down on the winner and I managed to do so, so I’d like to thank Ducati, the guys in the test team and everyone working back in the factory. We have gathered some useful indications, and so I hope to be able to do better in the next race because we have a lot of potential”. 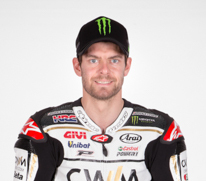 Cal Crutchlow endured a hugely disappointing end to the sixth round of the MotoGP World Championship as he crashed out three laps from the end of the Italian Grand Prix at Mugello when placed fifth. The CWM LCR Honda rider defied a hand injury picked up from a nasty fall in this morning’s warm-up to produce a brave ride and looked poised for a good points finish. “It’s very disappointing for the whole CWM LCR Honda team. We had what I thought was a good weekend up until the race. This morning I had a very heavy crash in the warm-up and had a big impact on my hand, so I thought it was a good showing to be racing in the position that I was. 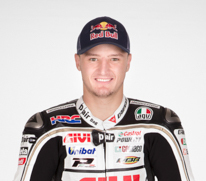 The sixth round of the MotoGP World Championship proved one to forget for Jack Miller as he crashed out after just two laps of the Italian Grand Prix at Mugello on Sunday. Having started from the ninth row, the CWM LCR Honda rider made a good start at the team’s home track. However, Miller was hampered by front end problems from the off which ultimately proved his downfall as he slid out at the final corner of the circuit. That meant the Australian failed to finish for the second race in succession, but he remains upbeat about the rest of the season and believes there is plenty of potential to improve. “It was a rubbish race to be honest. I had an awesome start and was going good, but already by the second lap I was having moments with the front. Where Cal unfortunately fell off, I was also close to losing it and Nicky (Hayden) slipped by. I got back past him, but then I had another moment and then it was moment after moment until I couldn’t hold it up anymore. “When I got to the final corner the front just went on me and it was beyond recovery. It was really hard here, especially with the front of the bike.